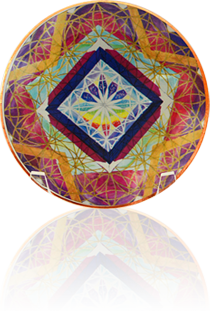 Eleven Chakra Key Healing Discs have been lovingly created from Barbara’s Chakra Key paintings, one disc for each of the Seven Major Chakras, plus the Soul Star, Stellar Gateway, High Heart and Earth Star Chakras. 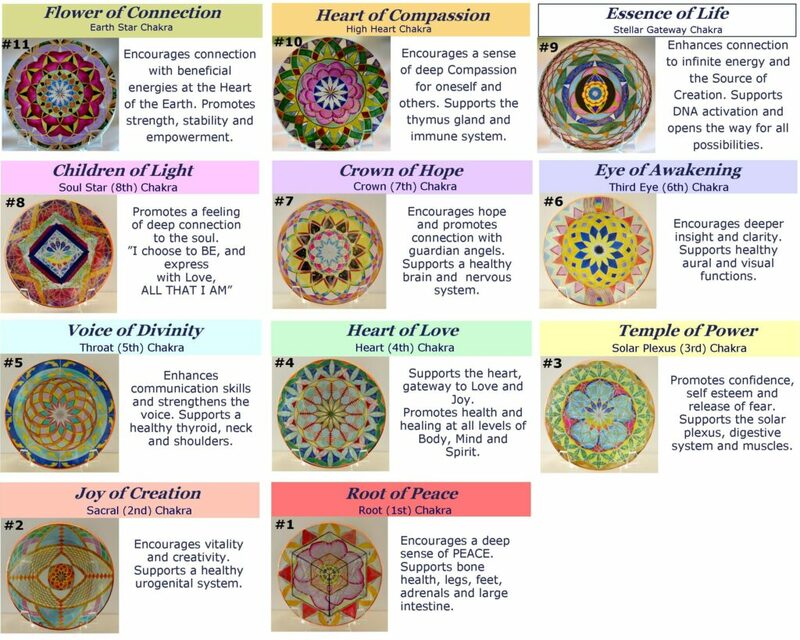 Each Chakra Key Healing Disc “speaks to us” at the cellular level to enhance Wellbeing on every level of Body, Mind and Spirit. 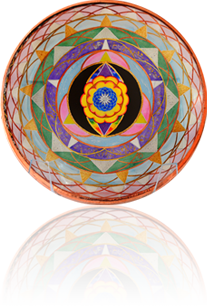 These are truly advanced tools for our time, transmitting wonderful, high vibrational frequencies to clear, balance, activate and refine the entire Chakra System. 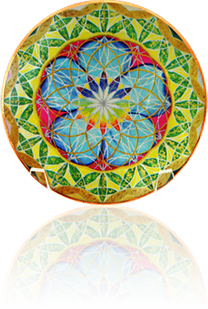 They set the vibrations for healing, providing energetic and spiritual support to facilitate deep connection with our inner essence, activate our gifts, ignite our true potential, and support wellbeing on every level. 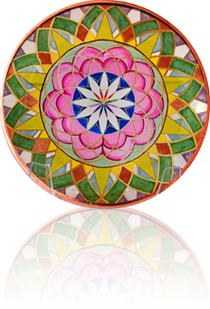 The discs are designed to provide high vibrational healing energy that offers loving support to balance refine and heal the Chakras. 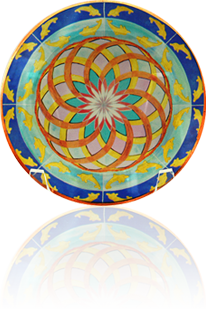 They can be regarded as “guardian angels, providing comfort, healing and support for any situation. 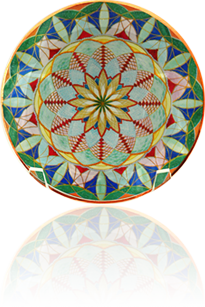 Place the discs on display in a room to clear and uplift the energy of the space and surroundings. 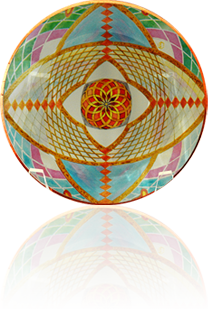 Simply gazing into a disc helps to attune with the essence and intention that it holds… opening the way for beneficial energetic shifts and changes to unfold. 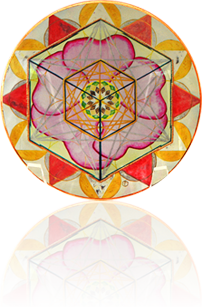 Use them to amplify innate healing ability… place on the body or move them intuitively through the energy field. 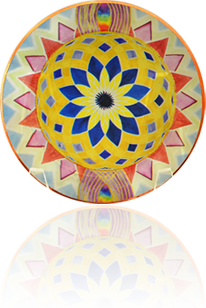 Imagine breathing in the energy of the disc to fill the entire body with Love and Light… then breathe positive intentions back out into the world. 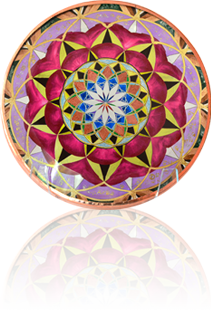 Each 3” Quartz Glass Disc has a high quality central giclee image, and is hand wrapped in Copper to amplify the energetic properties. 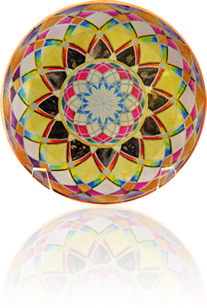 Each disc comes in a black velvet pouch with Affirmation, descriptive card and acrylic display stand.